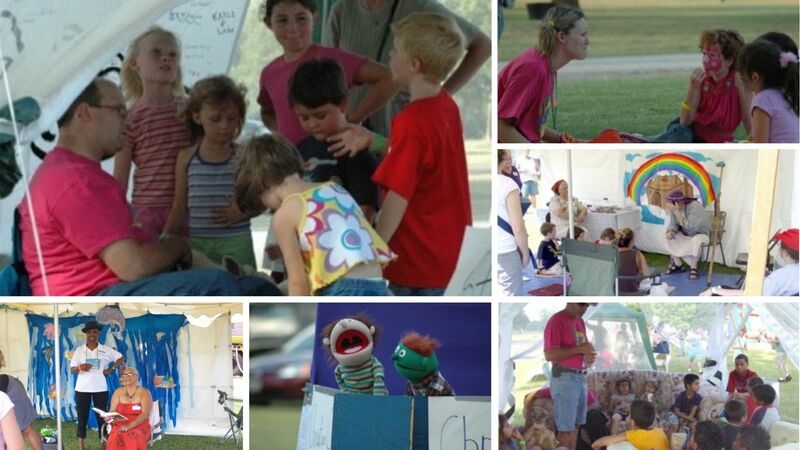 From 2005-2012, Community Church along with a number of other churches and businesses in Guthrie, Oklahoma joined together to host an event called CHILDREN'S FESTIVAL. The vision for the festival was to bring the diversity of our community together in a safe environment where kids and their parents could enjoy a day of fun, food, and faith. This festival was located west of downtown Guthrie in an area called "The Flats." During the eight years of this festival, attendance grew from the 1,000 to over 2,500. Thousands of snow cones, hot dogs, hamburgers, toys, and school supplies were given away. Hundreds of free haircuts face painting, and many other enjoyments. The last year of the Children's Festival was 2012. In 2017, Community Church began a FREEDOM FESTIVAL the last Friday of June located on the east lawn of the church. 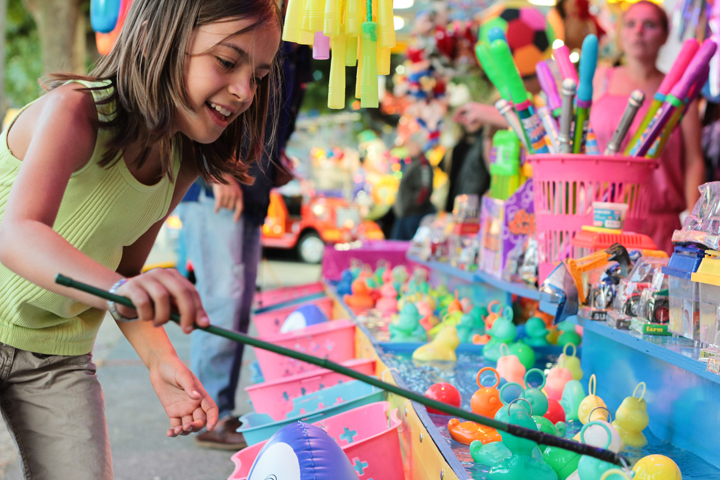 This festival included inflatables, food trucks, music, yard games, and fun ending with a spectacular fireworks display. 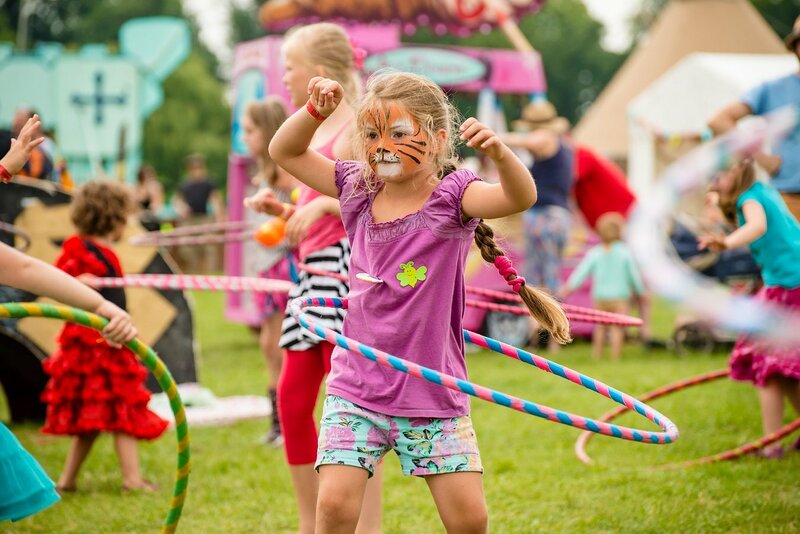 This year...On June 29, 2019, we will be taking the heart of the Children's Festival and the celebration of the Freedom Festival and combining them into what we are calling FAMILY FEST! At this festival, we will link arms with others in our community like before to provide a fun and safe environment for the children and their families. Starting at 9:00 am, everyone can enjoy free lunch, music, inflatable activities, carnival games, give-a-ways, face painting, Bible stories, and many more activities. Story Tents are hosted by various churches in the area. Each tent will have a different children's Bible story and will repeat 1-2 times every hour. These tents are optional to attend; however, each child will receive 10 Redemption Tickets which can be redeemed for prizes. (Much like a Chuck E. Cheese). Additional attractions will offer Redemption Tickets as well. There will also be a table where churches can display their church information and VBS materials because ultimately we hope everyone has a home church! This is a community event so ALL participating businesses and churches are promoted. Our hope is people will experience a community coming together for a common good while celebrating our great Lord and our great community! So bring your lawn chairs and join the fun! 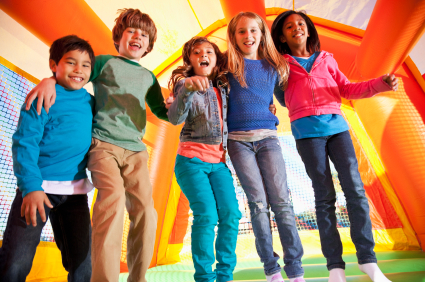 Inflatable Slides, Obstacle Course, Bounce Houses, etc.